Digital wallet providers must look further than proximity payments and add value for the consumer. London, 6 September 2016 – The European market already knows many digital wallet offerings, most developed by banks or bank consortia for domestic markets. But in recent years, the market has seen a multitude of digital wallet initiatives by non-banks, such as tech companies, card networks, mobile network operators, and merchants. How will Europe’s existing digital wallet providers compete with these new entrants? 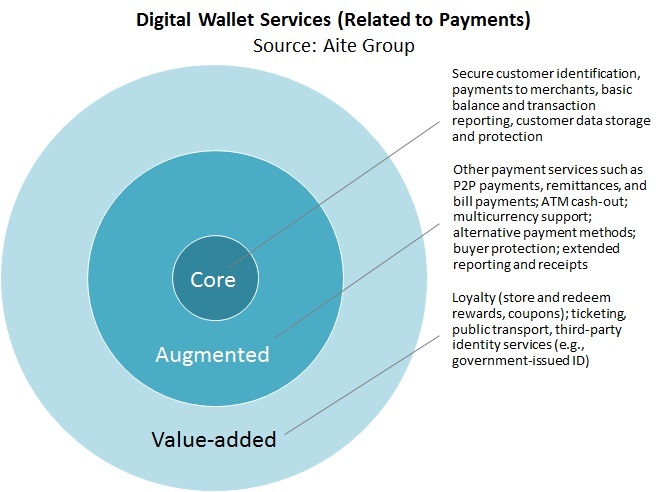 Based on Aite Group interviews with 27 executives from leading banks, technology companies, merchants, and industry organizations, this report overviews the European digital wallet space, addressing the main drivers for customer adoption of digital wallets, the decision criteria for merchants to accept them, and the strategies available to digital wallet providers to monetize market opportunities. This 35-page Impact Report contains seven figures and four tables. Clients of Aite Group’s Retail Banking & Payments service can download this report. This report mentions Amazon, Apple, BKM, DNB, Google, Otto Group, Mastercard, NTT Docomo, PayPal, Paysafe Group, Samsung, Seamless, Starbucks, Telenor, and Visa.